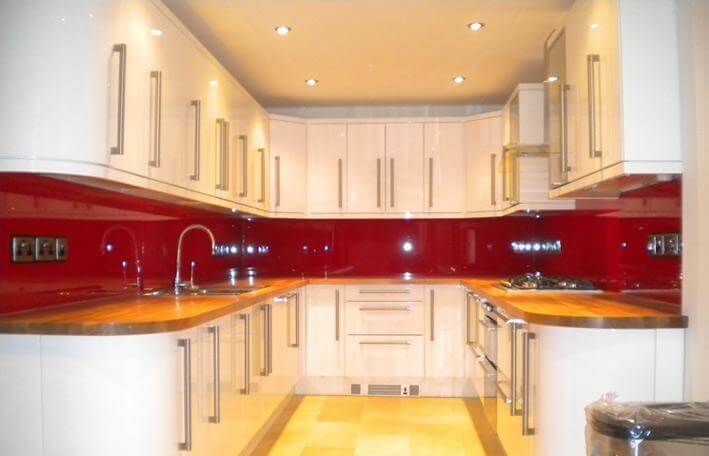 Coloured glass panels are a popular choice for kitchen splashbacks and shower back panels. 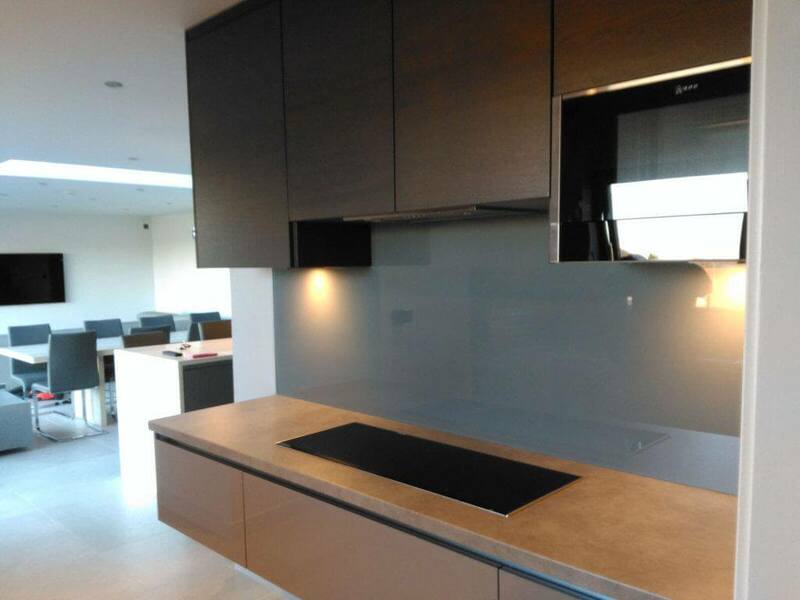 We can produce bespoke glass splashback panels which can be cut to size, professionally finished, and installed by our professional Norwich glaziers. 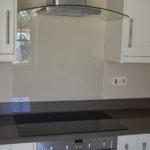 Using glass splashbacks creates a wonderful feeling of depth, space, and light in your home, office, or workplace. Coloured glass panels provide a modern and stylish look, they are highly stain resistant, very easy to clean and hygienic. In addition glass panels brighten any room by reflecting light. 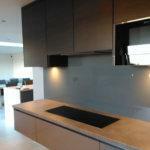 Another advantage is when toughened glass is used, the panels become impact and heat resistant. 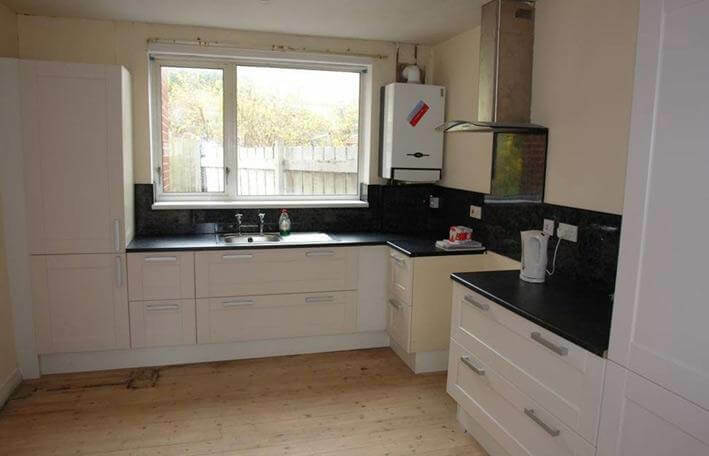 Kitchen splashbacks not only offer a wipe clean surface on the wall behind your cooker or AGA; they also offer an opportunity to enhance the design and style of your interior space. 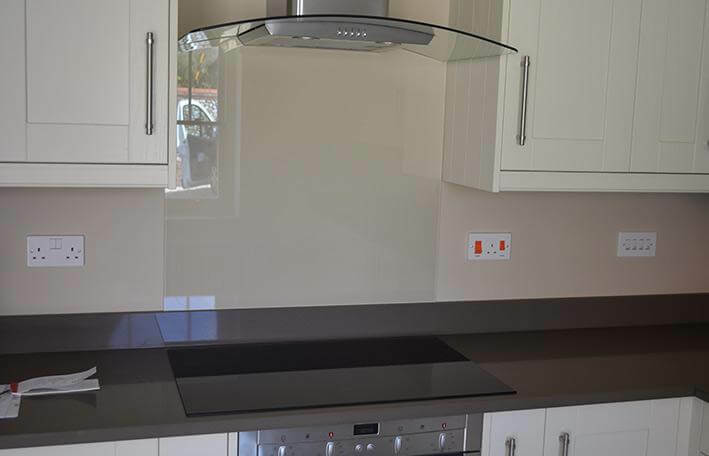 Our glass splashbacks are made to measure and cut to size, so you can choose any style of glass to match your interior design, to fit any size and requirements. 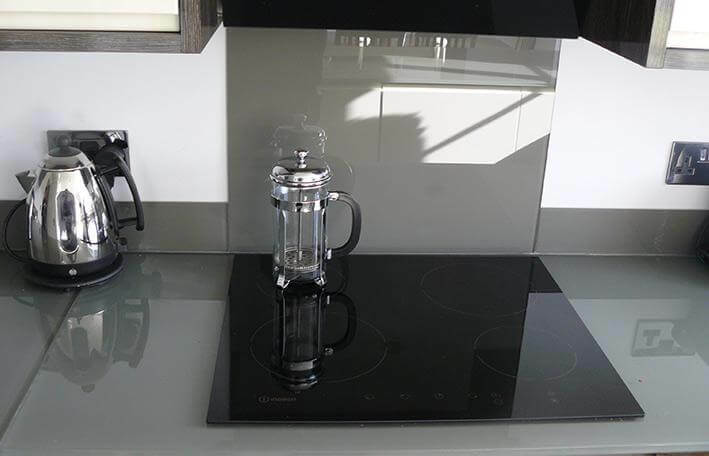 We use a CNC cutting machine to create bespoke features in your glass splashback, allowing space for sockets and taps with ease. 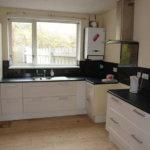 Bathroom splashbacks offer a contemporary style to your bathroom or wet room. Whether you want floor to ceiling glass panels, or any height in between, we can create stylish glass panels to suit your designs. 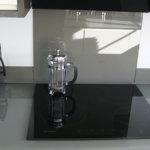 Glass bathroom splashbacks are a great alternative to tiles and can be made from coloured or patterned glass. We can create any size and shape you desire. If you're looking for a full bathroom service, we also design and fit bespoke glass shower screens and glass shower enclosures which can be matched to your style and requirements. 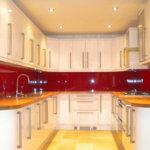 We offer a full, professional installation service for all of our glass work. Using a CNC cutting machine we can produce bespoke shaped pieces and form cut outs within the body of the glass, allowing you to fit sockets and taps with ease. For a free consultation, contact our friendly team today.